Everything we do is to help clients reach the life goals that are most important to them. 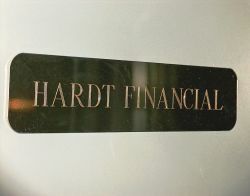 We are independent and not linked with, or owned by, any particular investment or insurance company. Our "boss" is you, the client. You are the reason we exist. As we work with clients, you'll always hear the whole story from us. We help clients weigh the decisions and trade-offs of one course of action versus another. This may involve issues as varied as investment volatility, peace of mind, retaining future flexibility, product costs, and adherence to Biblical principles. We continually sharpen our skill and knowledge on the wide variety of financial issues that impact the lives of our clients. Our role is two-fold: to help clients sharpen their focus on the things most important to them and to be a "financial guide" to find the most efficient ways to move forward. 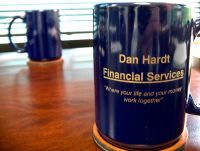 At Dan Hardt Financial Services, we value long term relationships (and have served some clients for over 30 years). It is a joy to us to see clients continually move in a positive direction as we provide guidance with financial decisions. We welcome inquiries from prospective clients to see if our services may be a good fit for your needs. Use the Contact Us button to make the connection.